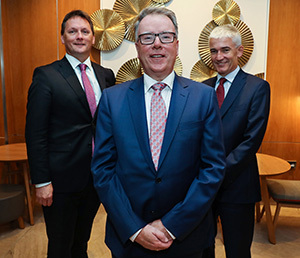 Harvey’s Point has been sold by hoteliers Deirdre McGlone and Marc Gysling to Davy Real Estate, which is planning to continue to invest in the hotel. 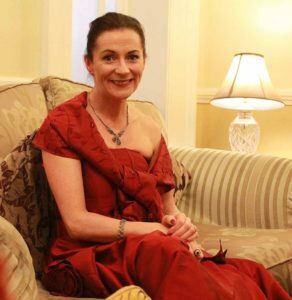 Davy Real Estate has significant interests in a number of hotels in Ireland. 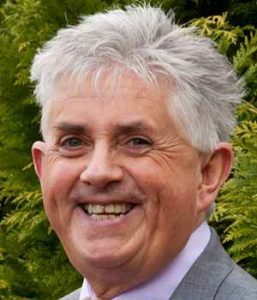 Tom Barrett of Savills has managed the off-market sale of the hotel. The sale comes thirty years after the family opened the hotel on the lakes of Lough Eske, outside Donegal town. The couple have made the decision in order to spend more time with their young family. Harvey’s Point has a team of 150 people and is one of the biggest employers in the region. The hotel is open year round and has developed a reputation for the domestic and overseas markets as well as weddings, conferences and events. Located 6km from Donegal town on the shores of Lough Eske, at the foot of the Blue Stack Mountains, the luxury 4 star hotel comprises a total of 77 bedrooms, bar, restaurant, extensive lounge and conference and banqueting facilities. Additions in recent years include the Garden Suite, The Lodge and Harvey’s Bar & Terrace. 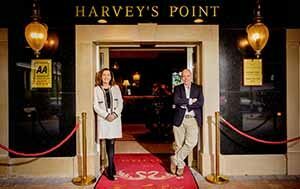 Harvey’s Point has been named TripAdvisor ‘No 1 Hotel in Ireland’ for six of the past seven years and 12th best hotel in Europe, an AA two rosette restaurant and AA Red Star.